Horst Seehofer loves to play the tough guy. Up to a point, anyway, and never jeopardising his position at the pinnacle of political power in Germany. The divisive issue of immigration allows smaller parties of the extreme right to jerk around their bigger coalition partners. 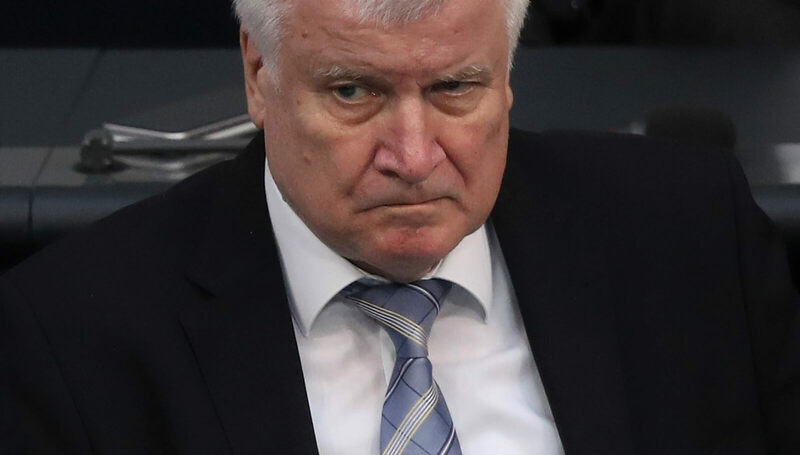 Seehofer, Germany’s Minister of the Interior, is the leading politician from the Bavarian Christian Social Union (CSU), in the eternal coalition between his provincial party and Chancellor Angela Merkel’s otherwise country-wide Christian Democratic Union (CDU). He is another European example of how the divisive issue of immigration allows smaller parties of the extreme right to jerk around their bigger coalition partners without political punishment. Austria led the way, then came Italy, and now Germany. After winning the last election, Austrian Chancellor Sebastian Kurz, 32, head of the traditional conservative party ÖVP (Austrian People’s Party), made a big deal about domesticating the country’s right wing. He took as his Vice-Chancellor Heinz-Christian Strache, a former Neo-Nazi and head of the right-wing party FPÖ (Freedom Party of Austria). Strache, however, has since dominated the political scene in Austria with endless efforts to toughen up immigration policy. Austria can’t do this on its own without seriously infringing European rules and solidarity. Strache knows this perfectly well, but scores political points against Kurz anyway, forcing the latter into a defensive position of appeasement. The same game is played in Italy by the equally young and inexperienced Vice Prime Minister Luigi Di Maio (Prime Minister Giuseppe Conte is a technocratic straw man). Following a decisive win in the last elections for Di Maio’s middle-of-the-road Five Star Movement, he went on to appoint the head of the right-wing Northern League, Matteo Salvini, as his Minster of the Interior. From this perch, Salvini now preaches his xenophobic gospel, augmented with a heavy dose of anti-European, particularly anti-German, polemics. He too is making short-term gains in the polls, without really changing anything in the world of real politics. The same tactics are employed by Seehofer. His proposal to “close the German border” towards Austria (Austria borders exclusively the province of Bavaria) to immigrants had nothing to do with actual problem-solving. Rather, with his tough-guy posture, Seehofer is acting out his macho-driven antipathy towards Merkel ahead of elections in his home state. Seehofer threatened to resign over the issue, implying the eventual break-up of the governing coalition in Germany. He succeeded in plunging German immigration policy into an ungodly mess. The solution was a magic formula to keep the CDU/CSU coalition, the German government afloat, and Seehofer’s job secure: “transit centers for immigrants without previous registration in another European country”. But the policy has baffled friends (the co-governing Social Democrats), foes (the Austrian and Italian governments, who would have taken back the majority of non-admitted immigrants from such transit centers), and commentators alike. By its very nature, illegal immigration into the European Union is nothing if not a union-wide problem. Only a coordinated policy among all EU states can provide solutions, if any. In fact, it would take the cooperation of all European states, because the problem of illegal immigration through and from the continent to the UK (and Ireland) will not disappear with Brexit. Switzerland and Norway, non-EU members but also important receiving countries of immigration, are within the Schengen area, and therefore cannot seal their borders without doing serious political and economic damage. And herein lies the core of the issue. There is an illegal immigration crisis in Europe, but it is by no means as virulent as it was two, and especially, three years ago. Other political, and some economic, problems loom larger. To deal with illegal immigrants already in Europe, many of whom will never “go back to where they came from”, is now a problem of integration, no longer immigration. The problem of stopping additional economic migrants, mainly from and through the Maghreb and the eastern border of the Mediterranean, is being tackled, albeit messily and laboriously. Aid and assistance is not only going to sending countries, but also to such shady figures as Recep Tayyip Erdogan of Turkey and warlords in Libya, and military means are being increased to patrol the Mediterranean Sea. These are not solutions to be proud of; but does any other pole of attraction for the “huddled masses” of the world, planetwide, do better? What Seehofer and his Austrian and Italian companions are practising is old-style surfing on populist waves. Not a game-changer for the whole Europe, but to be taken seriously nevertheless. If unchecked, their rise to full power in EU anchor states would indeed be a disaster, and would echo an unholy past.